Courtesy of Adam Vanscoy, Coldwell Banker Heritage. Sitting on over 2 Acres! xD; xA;Are you wanting to be out in the country or have some land? xD; xA;This beautiful 3 bedroom home with a first floor master, sits in a great location. 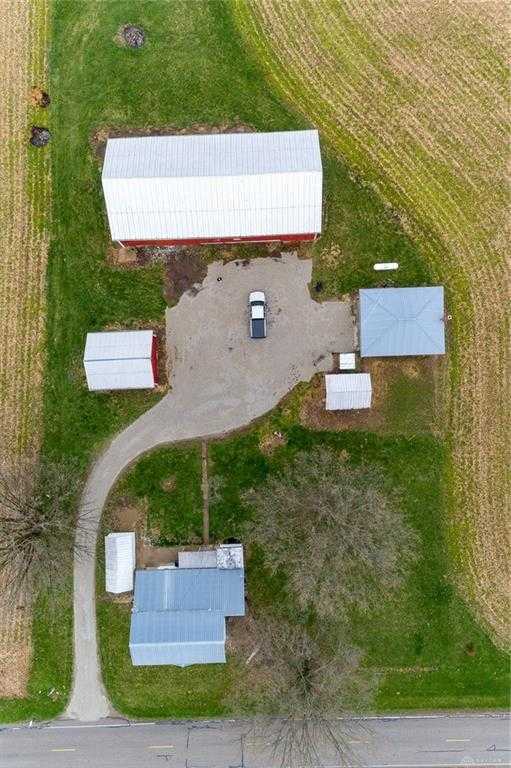 This home has been freshly painted inside and out, the bathroom has been newly remolded, the over sized barn has had a new door that has been installed on it and next to that it has a smaller barn, a shed and an over sized 2 car garage. Ready for you to move right in. Directions: south 503, Right (west) on halderman rd. Home on south (left) side of road. Please, send me more information on this property: MLS# 788100 – $187,000 – 4526 Halderman Road, West Alexandria, OH 45381. I would like to schedule a private showing for this property: MLS# 788100 – $187,000 – 4526 Halderman Road, West Alexandria, OH 45381.